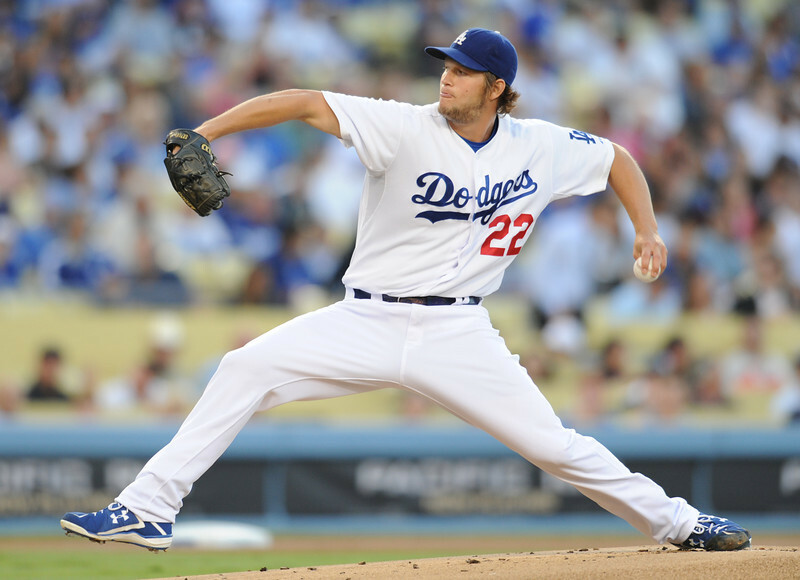 Clayton Kershaw will start on Opening Day, Hyun-Jin Ryu to follow, Dodgers announce. The Dodgers announced Sunday, finally, that Clayton Kershaw will be their Opening Day starter in Sydney, Australia on March 22. Hyun-Jin Ryu will pitch the March 23 game against the Arizona Diamondbacks. Kershaw has started every Opening Day for the Dodgers since 2011. He won the National League Cy Young Award in 2011 and 2013. Last year, he won his third consecutive National League earned-run average title (1.83) to go along with a 16-9 record and a league-leading 232 strikeouts. Even though he was the obvious choice in the middle of another injury-free (albeit ineffective) spring training, Kershaw’s status was still up in the air until Sunday. Dodgers manager Don Mattingly repeatedly declined to name his starters for the two games in Sydney, saying only that he was preparing four pitchers to start the games until Zack Greinke suffered a mild right calf strain in his Cactus League debut. That left Kershaw, Ryu and Dan Haren as the obvious choices to start the two games. The Diamondbacks previously announced that left-hander Patrick Corbin will start Opening Day in Sydney and right-hander Trevor Cahill will start the second game. Ryu was outstanding as a 26-year-old rookie, going 14-8 with a 3.00 ERA in the first year of his six-year, $36 million contract with the Dodgers. He’s allowed two runs in two Cactus League starts. Kershaw has been downright bad in the early stages of spring, but that’s become typical for the 25-year-old. In his first two starts, Kershaw has pitched just four innings and allowed eight runs. Opponents are batting .368 against him. Last spring, Kershaw went 2-3 with a 4.18 ERA. Because the Dodgers don’t play another game for another four days after the Sydney series, the season-opening rotation is difficult to predict. Expect Haren, Greinke (if he’s healthy), and Josh Beckett and/or Paul Maholm to get some work in during the Freeway Series against the Angels on March 27-29. The Dodgers’ first game in North America is March 30 in San Diego. This entry was posted in JP on the Dodgers and tagged Clayton Kershaw, Hyun-Jin Ryu, Sydney by J.P. Hoornstra. Bookmark the permalink.